Attorney Lawler is a former Assistant District Attorney and Public Defender and specializes in Criminal Law. If you or a loved one is charged with a crime, it is a very unsettling time. 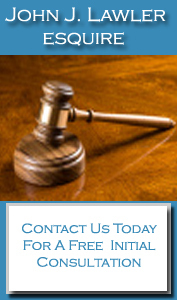 You need a lawyer with the expertise to defend your rights. Attorney Lawler has years of prosecutorial and defense experience and will fight for your rights if you are charged or accused of a serious criminal offense. Attorney Lawler provides representation for all felonies and misdemeanors, including Driving Under the Influence of Alcohol, summary and traffic offenses and Juvenile Court matters. Attorney Lawler also provides representation for all family law matters including Divorce, Child Custody, Child Support and Adoption matters.